ULI North Florida recently hosted the 5th Annual Awards for Excellence event in downtown Jacksonville to showcase projects throughout North Florida that represent the best practices in all aspects of real estate development, planning, design, construction and economic viability. Take a look at this projects and let us know what you think! Four awards were presented in the following categories of Public Sector/Non-Profit, Open Space, and Reuse/Repurpose. The awards criteria are based on the ULI mission to provide leadership in the responsible use of land and in creating and sustaining thriving communities worldwide. Nominations were solicited from ULI North Florida’s more than 500 members in the District Council of 34 North Florida counties. The evening events also recognized Robert (Bob) Rhodes as the 2016 Visionary Leadership award. This award recognizes an individual who demonstrates exemplary leadership in “Placemaking” in the community. This award reflects Mr. Rhodes’ 30-plus years of civic engagement, leadership and commitment to generating remarkable results. Judges for the 2016 Awards for Excellence were Russ Ervin, ELM Ervin Lovett Miller, Jacksonville; Bill Killingsworth, City of Jacksonville, Jacksonville; James Moore, Jacobs, Tampa; Eric Swanson, Treadwell Franklin Infrastructure Capital, Miami; and Stephanie Wasser, Urban Land Institute, Washington, D.C. 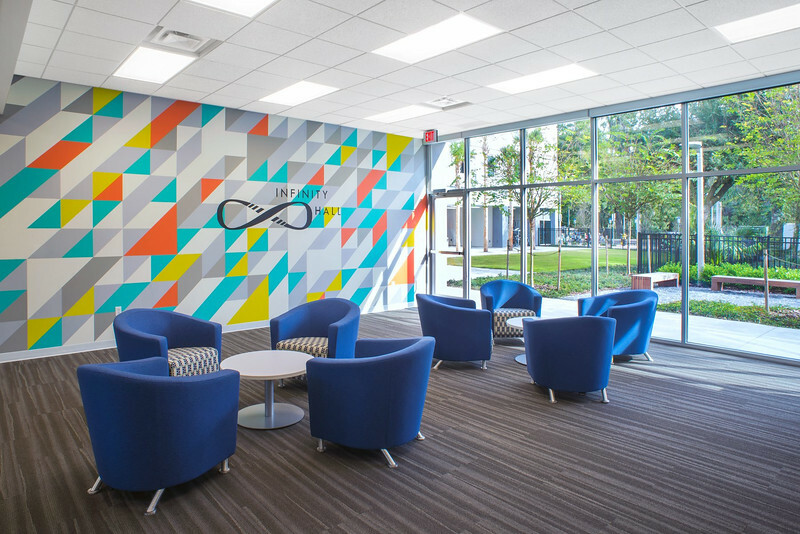 Through the development of Infinity Hall, Signet Development is redefining what it means to provide student housing in an atmosphere that cultivates innovation. This 312-bed living learning community is the first residential public-private partnership of its kind with the University of Florida. 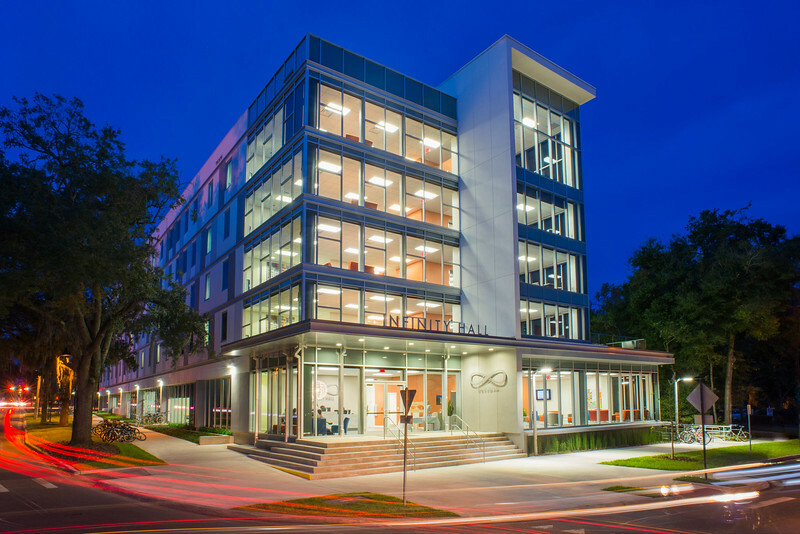 The 97,000 square foot living learning community is located in The University’s Innovation Square, an urban research district that unites business, science and academia with residential life in an effort to cultivate innovation and strengthen the economic and cultural viability of the community. 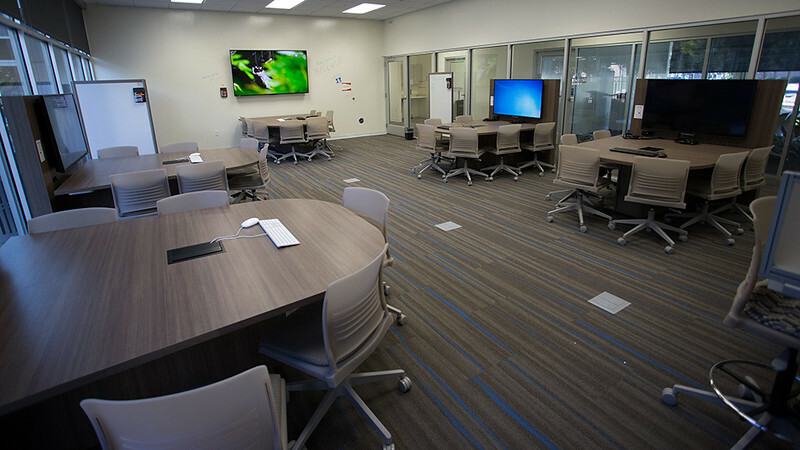 After ground breaking in May 2014, Infinity Hall opened in the fall semester of 2015 and highlights more than 20,000 square feet of innovation and collaboration space for its Innovation Academy students and UF program partners including two 3-D printing labs, a CNC fabrication and milling lab, ‘Made @UF’ mobile application development suite and ‘MINT’ a UF student run graphic design studio. Signet has also partnered with Launchpad, a private business incubator located within Infinity Hall that will provide start-up companies and budding entrepreneurs and environment to bring their business to life. 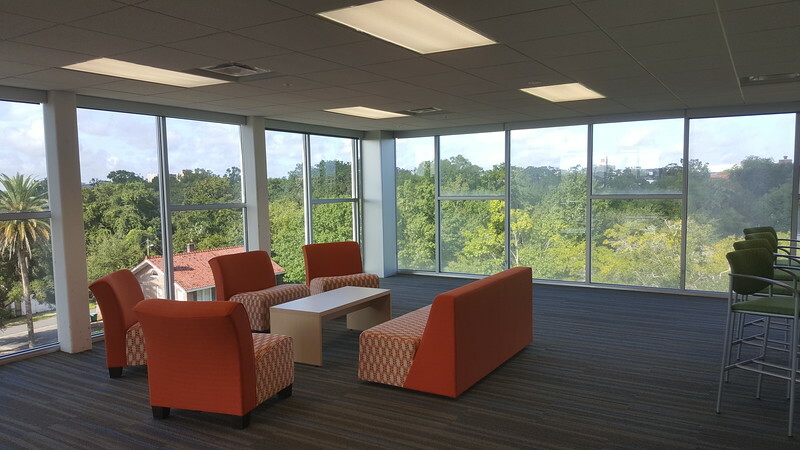 The response from the University of Florida and greater Gainesville has been a resounding success as evidenced by the 100% occupancy on day one opening with a waiting list for potential program partners.